A move that had been rumored for a couple of weeks finally became official Friday as the Galaxy announced it had transferred defender and captain Jelle Van Damme to Belgium’s Royal Antwerp FC. The Galaxy will receive $235,000. The play on the field hasn’t lived up the standards of the Galaxy, but that hasn’t stopped the value of team diminish. According to Forbes Magazine, the Galaxy has surpassed the Seattle Sounders as MLS’ most valuable team. According to the report, the Galaxy has an operating income of $9 million and brought in an estimated $63 million in revenue. 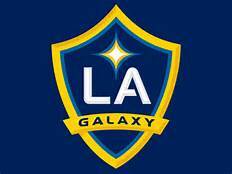 The Galaxy franchise is valued at $315 million, up 19 percent.